When I first began to bake, I kept clear of anything that involved using yeast. For a lot of reasons the yeast beast always got the better of me and I landed up with some pretty unpleasant baked goods. Like all things, I was not going to give up on yeast and after several failed attempts, and trials with many successful recipes, I can now say the ‘beast’ has been finally conquered. I owe it to the Daring Bakers too, for challenging me to tackle the yeast beast in a lot of recipes. I’ve always wanted to bake bread at home, and today was the day I sunk my hands in silky smooth dough which is evidence of well-proofed yeast. I chose a basic white bread dough and added an onion, cilantro and chili filling. 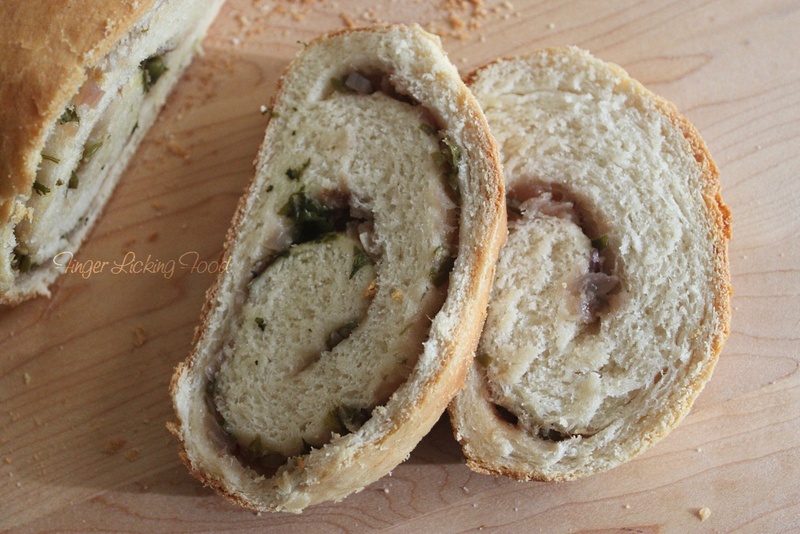 The swirls of flavor going through the bread are a feast to the taste buds. 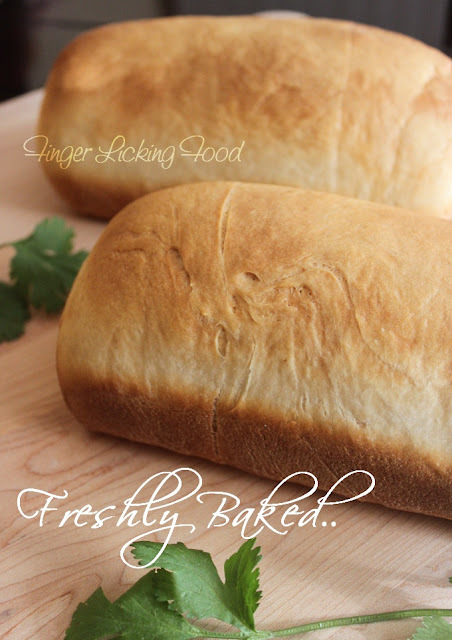 There are two key things when baking bread – proofing the yeast and kneading the bread dough. Both are imperative in deciding the final result. In a large mixing bowl combine 2 ½ cups flour and the yeast on low speed. In a medium saucepan, heat milk, butter, sugar and salt to 120F-130F until butter has just melted. This temperature is very important for the yeast to proof well. If the mixture is too hot it kills the yeast and if it is not hot enough then the yeast doesn’t get activated. Add this to the dry ingredients and combine on low speed for 30 seconds and then beat on medium for 3 minutes. Slowly add about 2-3 cups flour until the dough comes together into a soft ball which is almost stiff. Turn the dough out onto a lightly floured surface and begin to knead using the heel of your palm and bringing the dough over. Make a quarter turn and repeat. Knead vigorously for 8-10 minutes until the dough is elastic and smooth. Grease a large bowl with oil and place dough in it. Toss once to cover dough with oil. Cover and allow to rise for 45-60 minutes until doubled in size. Prepare the filling: Heat the oil in pan. Add the green chillies and curry leaves. Then add the chopped onions. Saute until soft and translucent. Cool completely and then season with salt. 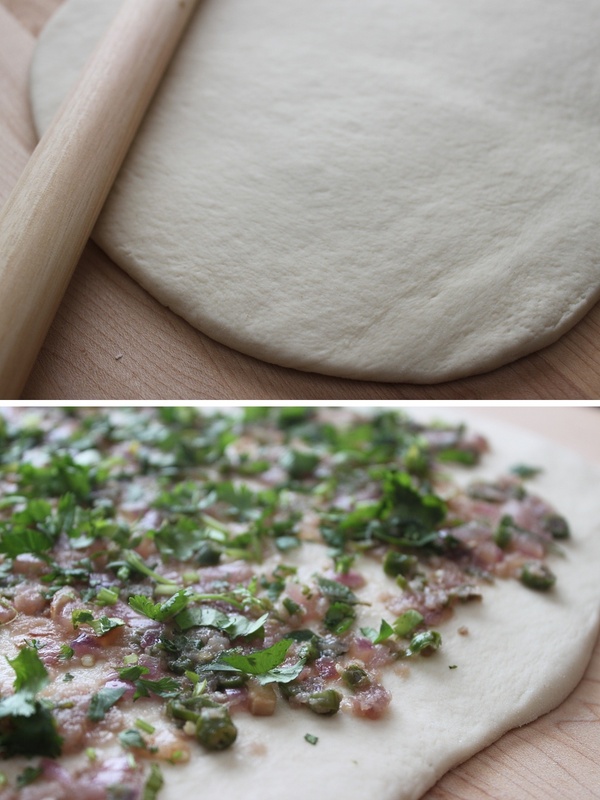 Punch down dough, divide into two, cover and let rest for 10 minutes. Meanwhile, lightly grease two 8-inch loaf pans. Roll out each piece of dough into a 12x8 inch rectangle. Spread half of the filling evenly and top with half of the chopped cilantro. Starting from the short end, roll up, jelly-roll side and place seam side down in the greased loaf pan. Cover and allow to rise for 30-45 minutes. Preheat oven to 375F. Bake loaves for 40 minutes until hollow when tapped. Remove from pans immediately and cool on racks. Slice when still warm with a sharp serrated knife. To store: Cool completely before wrapping tightly in plastic wrap and store at room temperature upto 2 days. 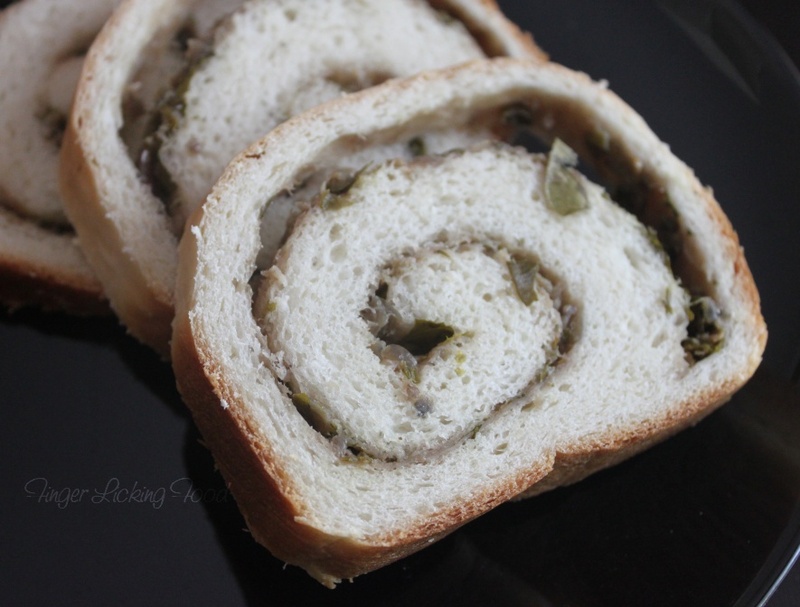 Marvellous swirl bread,looks soo prefect..
Well baked, the bread roll looks very yummy and inviting. I am going to bake this one during the weekend. 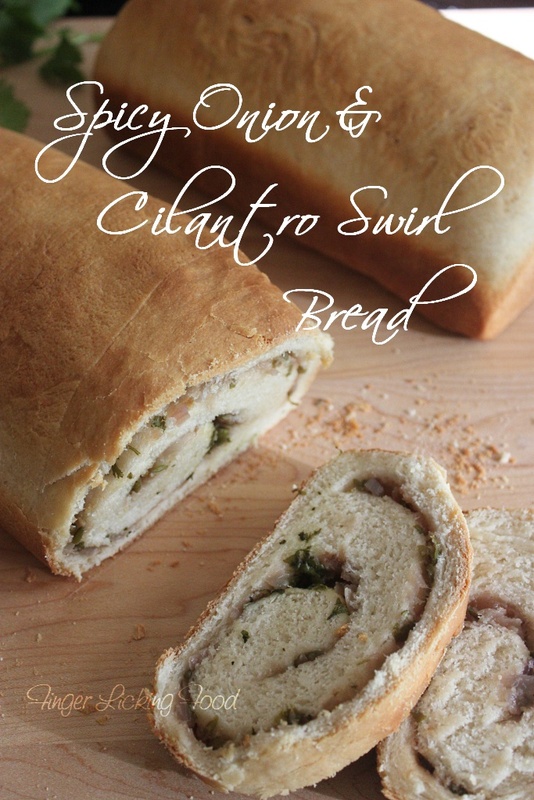 That is awesome.. love the cilantro-onion swirls.